My three-year-old, Ari, loves balloons. We play catch with them (really good practice for spazzy toddler coordination), we draw funny faces on them, whenever there’s a holiday we have tons and tons of balloons, so I thought it would be fun for him to hand them out to his little friends at preschool this year. After I designed this I thought… does this make sense? 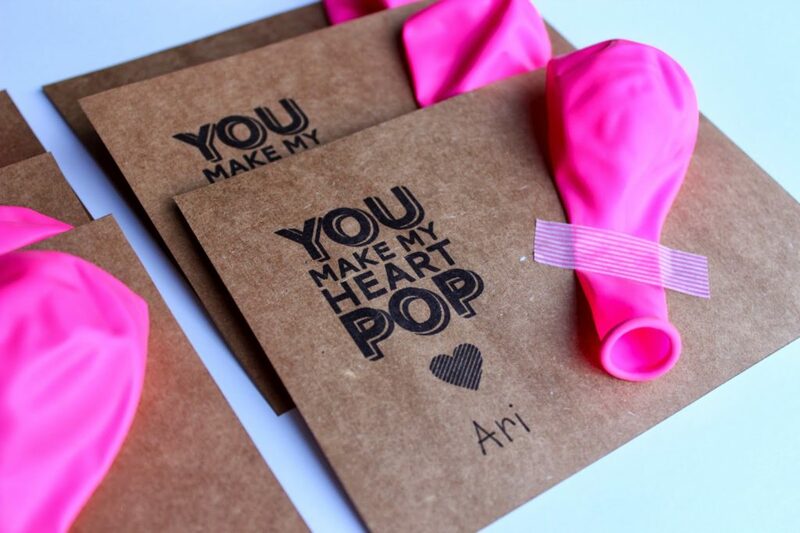 You make my heart pop? Whatever, the kids will just be excited about the balloon, right? I printed my cards on kraft paper, but you could certainly print it on white or red paper. 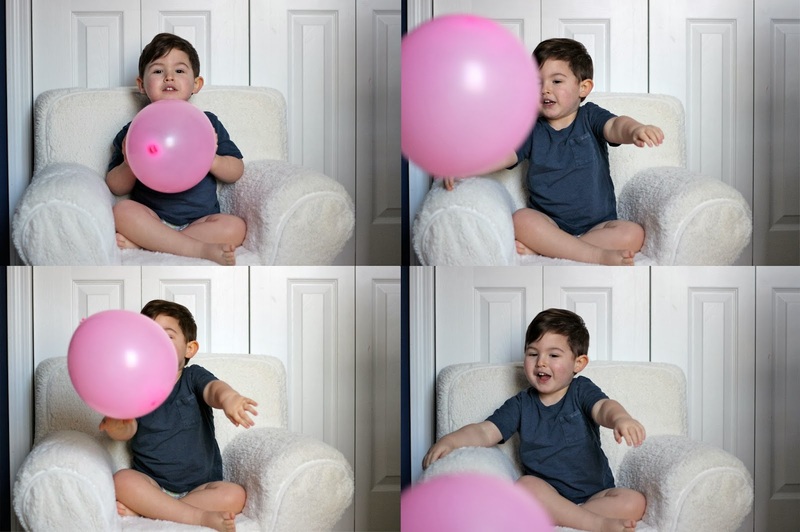 Do you know how hard it is to photograph a toddler and a balloon? Exercise for the week day- check. how do you print these? thanks! Hi! There is a link at the end of the first paragraph. It says Click here for the free printable. Thanks! Thanks for sharing this. 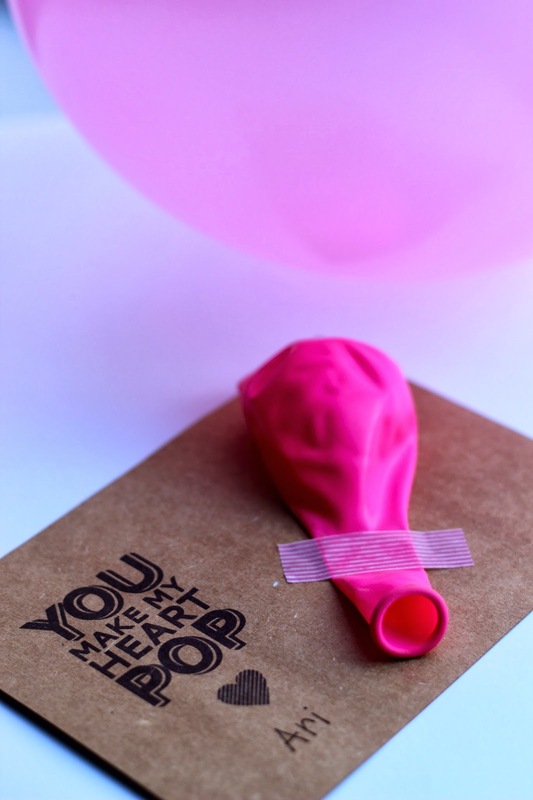 I’ve used the balloon “you make my heart pop” printable for 3 years in a row for my kid’s Valentines. First, because it’s not candy. And second, ALL the kids love the balloon! I have been buying heart-shaped balloons from the internet to tape on there. Very cute and ORIGINAL! Thank you, again! Oh my gosh yay!!! SO glad you (and the kids) love these! This made our day- thank you!